Welcome to Mazda Parts Dealer! At Mazda Parts Dealer, we provide the Mazda parts and accessories you need to keep your car in top condition. 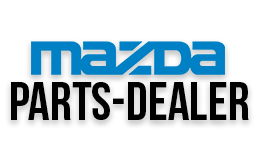 Our online Mazda parts store features a full line of Mazda OEM parts and accessories for any Mazda make and Model. Order your Mazda parts today, and take advantage of our dounts prices, fast shipping and excellent service.